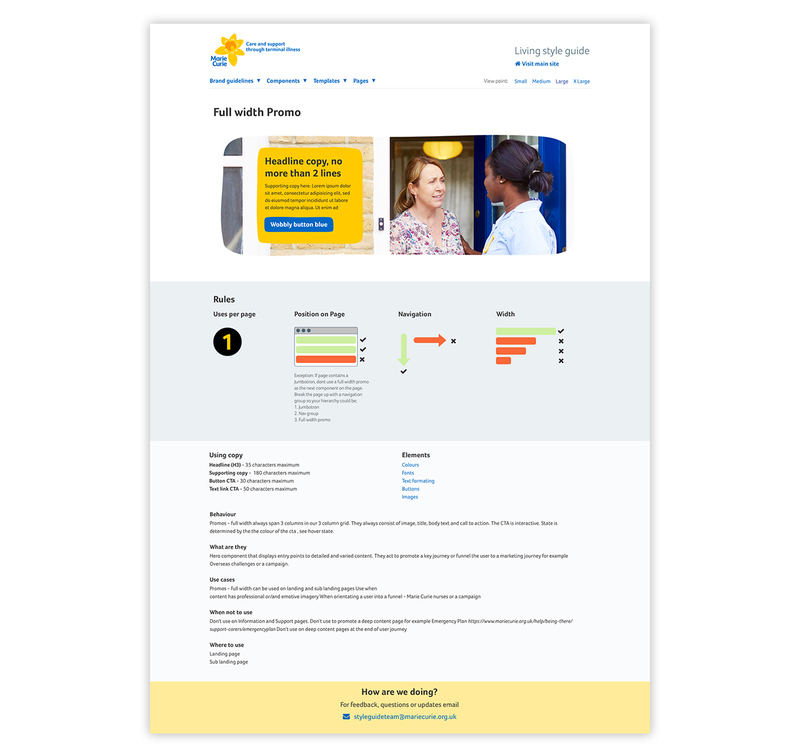 Marie Curie is a UK charity provided care and supported through any terminal illness. The website provides a vast range of help and support information for patients and careers as well as healthcare professional. The site also serves as the key web destination for all fundraising and donation journeys. Brief: as part of a wider website refresh project the UI team were tasked to create easy to use brand guidelines for internal teams (digital, design and content) and external, third party agencies. After research and speaking to potential internal clients, I felt creating a Living Style Guide, using the current code base of the site was the best approach. This was approved and I was responsible for coordinating the project as well as creating the entire design for the site. 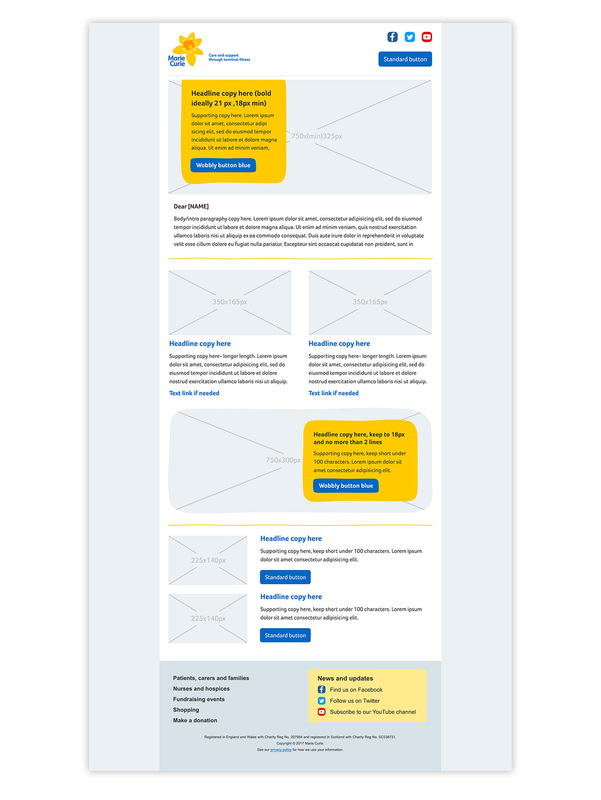 Brief: to create an updated set of templates to bring the e-CRM team communication inline with updated website look and feel. I delivered a set of new, flexible content blocks and a toolkit that could be used by the e-CRM team to create bespoke email campaigns. The designs are cleaner and optimized for mobile as well as accessible.